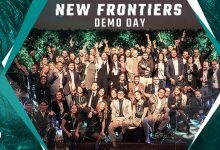 Amsterdam, 4 October 2018 – Startupbootcamp’s FinTech & CyberSecurity global startup and scaleup growth accelerator announces 12 international startups, the 2019 cohort, that will take part in its program in Amsterdam starting November 5th. The chosen 12 teams were selected out of 23 startups and scaleups that participated in an intense screening process at Startupbootcamp Selection Days in front of over a hundred mentors and partners and the Startupbootcamp managing team at PGGM headquarters in Zeist on 2nd and 3rd of October. 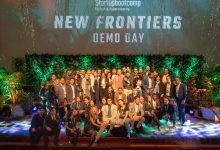 The top companies were chosen out of 500+ applications during a 4-month international scouting period when they went through a rigorous selection for their chance to join the next accelerator cohort. They will directly benefit from the strategic support of the corporate partners of the program. 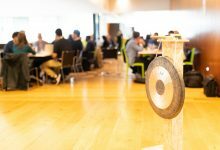 The 12 startups will now go through an intense 3-month acceleration program in Amsterdam that will start on 5th of November, with the Gong Ceremony at the Amsterdam Stock Exchange (Euronext), and will end with the Demo Day in front of hundreds of influencers, mentors, partners, and investors on 14th of February, 2019. 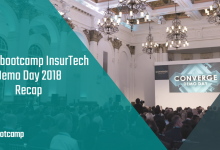 They will be mentored by a network of entrepreneurs, top executives, investors and Startupbootcamp partners, such as Rabobank, ING, De Volksbank, Moneyou, ABN AMRO, PGGM, Van Lanschot Bankers, Achmea, Nationale Nederlanden, PwC, Vivat, Capgemini, Comsec, and de Nationale Politie. Cobertoo (Spain) – P2P insurance that covers the item most valuable for the millennial segment: their Smartphone. Emcee (USA) – investing platform to mirror investments of peers and donate to charity. FortifyData (USA) – an accurate cyber risk analysis platform for identifying and monitoring business cyber risk exposure. Gridarrow (Netherlands) – a platform that makes it easy to push data into Excel, using a simple Python API. KeepWarranty (Portugal) – a free mobile app that saves and organizes warranties and purchase slips using OCR technology in a hassle-free manner. Onionfive (Korea) – leading the innovation in communication with AI technology, data analysis, and cutting-edge UI/UX. 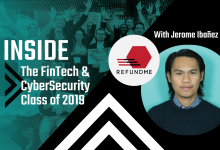 RefundMe (Spain) – a platform that digitizes the VAT refund process not just for tourists but also retailers, airports, and governments. Robolab (United Kingdom) – the app store and SDK for financial robots powered by Artificial Intelligence. Smart Advice (Turkey) – a digital wealth manager providing financial solutions, particularly for pension and wealth management industries focusing on human-computer interaction and behavioral finance. Soisy (Italy) – an Italian Payment Institution offering installment payments at point-of-sale (POS), financed via marketplace lending. Swascan (Italy) – the first Cloud CyberSecurity & GDPR Platform. CyberCentric (USA) – helping organizations to have a good knowledge of their data using an AI-powered data classification system. 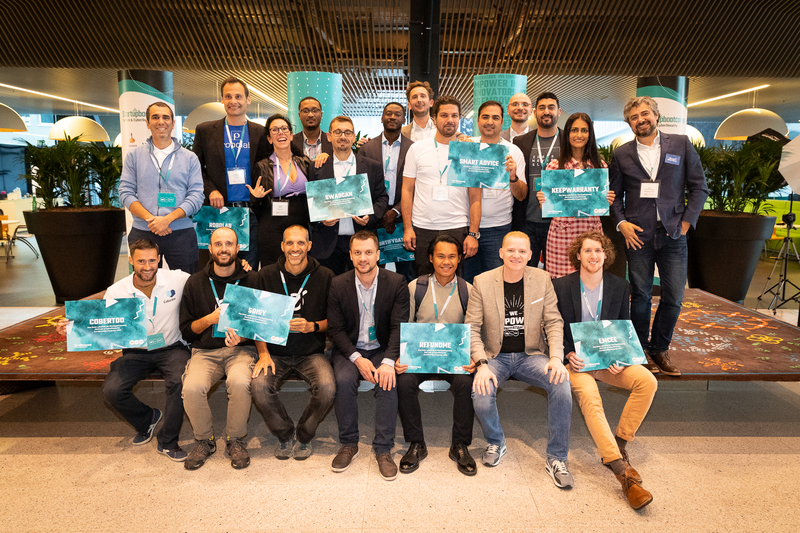 After graduating from the program in February, the startups will continue to be supported by the Startupbootcamp Alumni Growth Program, which connects over 600 startups worldwide. BITA is the leading pre-trade solutions provider in the digital asset space. Blueopes is an automatized wealth management platform focused on sustainable investing. BlueVisor develops robo-advisor, big database financial AI/Machine learning system, and other AI-related products. Casherang is a platform for investment funds. Cobertoo is P2P insurance that covers the item most valuable for the millennial segment: their Smartphone. CyberCentric is helping organizations to have a good knowledge of their data using an AI-powered data classification system. Investing platform to mirror investments of peers and donate to charity. FortifyData is an accurate cyber risk analysis platform for identifying and monitoring business cyber risk exposure. Gridarrow is a platform that makes it easy to push data into Excel, using a simple Python API. Guardyoo provides full cycle professional cybersecurity services. InConnect offers home/cyber and car and travel insurance in one digital insurance policy to digital-natives. Keep Warranty is a free mobile app that saves and organizes warranties and purchase slips using OCR technology in a hassle-free manner. Kroodle helps insurers with proven white label technology for the car, health, life, and disability insurance. LIFEdata is a multi-tier enterprise technology to automate and simplify the user experience connecting customers and employees via the Internet of Things. Onionfive is leading the innovation in communication with AI technology, data analysis, and cutting-edge UI/UX. RefundMe is a platform that digitizes the VAT refund process not just for tourists but also retailers, airports, and governments. RoboLab is the app store and SDK for financial robots powered by Artificial Intelligence. Smart Advice is a digital wealth manager providing financial solutions, particularly for pension and wealth management industries focusing on human-computer interaction and behavioral finance. Soisy is an Italian Payment Institution offering installment payments at point-of-sale (POS), financed via marketplace lending. Stratus creates and destroys temporary autonomous servers on demand, at scale, and at random IP addresses. Swascan is the first Cloud CyberSecurity & GDPR Platform. Yofii is building an online platform that will make financial stability accessible. Zingr gives the unbanked & underbanked a platform that makes accepting payments online and P2P seamless, fast and secure.